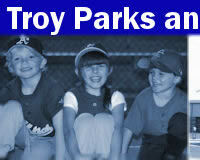 Troy Parks and Recreation is a proud member of the Alabama Recreation and Parks Association. We have Flag Football for ages 12-Under, 10-under, 8-under and 6-under; Tackle football ages are 8-U, 10U and 12U. The ages for soccer are 5-18. Age control date is prior to Aug. 1 of current school year for soccer and Sept. 1 for football. Please bring child's birth certificate to registration. 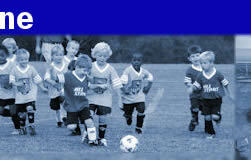 Registration Fee: $30 for one child, $55 for two children, $80 for three or more children. There is a $5 late fee after the announced registration period. Youth basketball will begin in January after Christmas break ends. The basketball program is open to both boys and girls. Ages for boys basketball are 5-12. Ages for girls basketball are 5-12. Age control date is prior to September 1 of current school year. Please bring child's birth certificate to registration. Registration fee: $30 for one child, $55 for two children, $80 for three or more children..
information on basketball clinics contact our main office at 566-4031. 2019 Softball Registration runs from Dec. 27-Jan. 12 online, and inhouse only on Jan. 11-12, 2019. Age control date for Softball is Aug. 31, 2019. Registration Fee: $30 for one child, $55 for two children, and $80 for three or more. (Discount fees are for children in the same family only.) There is a $5 late fee after the announced registration period. 2019 Baseball Registration runs from Dec. 27-Jan-12 online, and inhouse only on Jan. 11-12, 2019. Age control date for Baseball is May 1, 2019. Registration fee: $30 for one child, $55 for two children, and $80 for three or more (Discount fees are for children in the same family only.) There is a $5 late fee after the announced registration period. 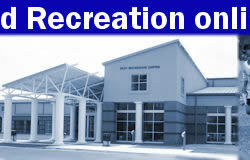 Our swim team program trains and competes at our Recreation Center. 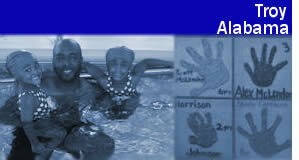 This program is not a swim class, as participants must know how to swim to participate. Registration: Registration occurs in winter and early spring.